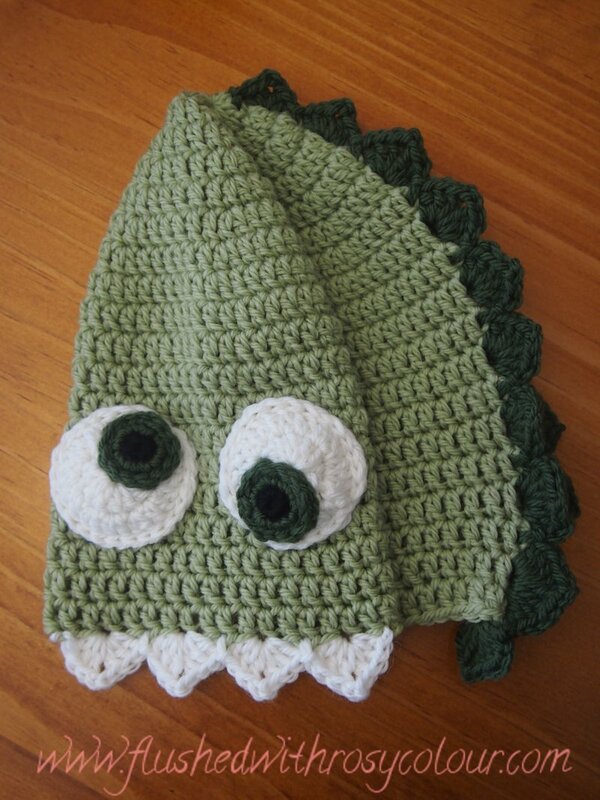 Here is a child sized green monster beanie I have made with dark green tail and dark green eyes. I finished the eyes in the early hours of Friday morning,. The only time I can do the tricky monster eyes with yarn needle is when my baby is sleeping!